Host families welcome French visitors for 3-week winter stay - Language & Friendship, Inc. Thanks to all the host families across the U.S. who are opening their homes and hearts to a young person from France this winter. First arrivals have begun in MI, IA, MN and more. We look forward to hearing about the lasting impact and lifelong friendships these visits will create! 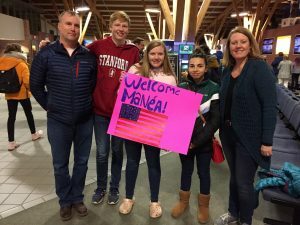 ( April 08, 2019 ) American students - Family stay in PERU!